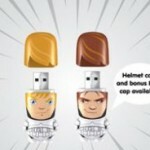 Mimoco has unveiled some new USB flash drives. Transformers. These are definitely more than meets the eye. It’s just Optimus Prime and Megatron for now. 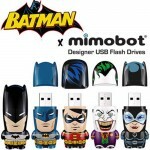 They may not actually transform, but they look cute as a button and come preloaded with screensavers, wallpapers, and digital comics. What more do you want? 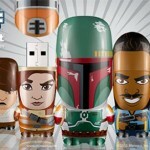 They are available now, starting at $23 for 2GB of storage and going up to $60 for the 16GB model. I’m sure they will add more to the line soon. 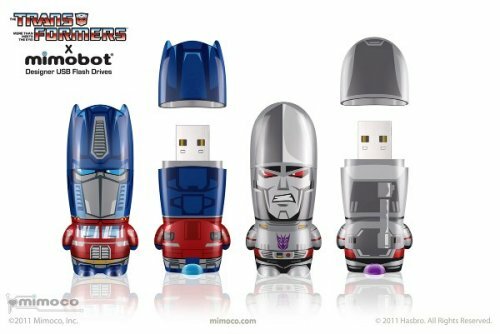 Nuevas memorias USB de Mimobots inspiradas en Transformers | ideasweb.info | Noticias, Software y novedades. Las mejores aplicaciones web, con los trucos más útiles y toda la información en nuestro blog.